Learn 3 Solutions To Retrieve Inaccessible Data From Screen Locked Android Phones With Broken/Cracked/Smashed Screen! 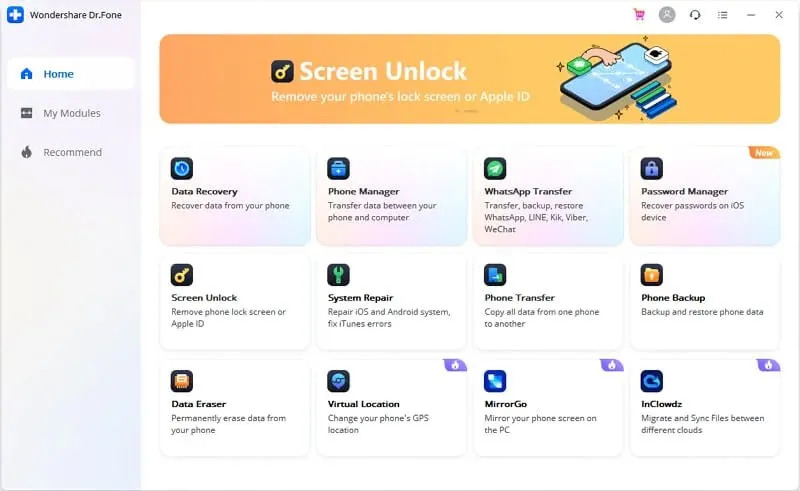 Overview: After doing hours of research online, I have found that there are many users out there asking help or solutions on – “How to recover data from locked Android with broken screen?” Actually, people are having passcode protected phones with screen broken and no backup of their phone data. Hence, I have decided to write this post so that it can help people in these or similar situation to recover their data from locked Android with broken screen. Expert Tip: One of the best ways to recover data from locked Android phone with broken screen is to use Android Data Recovery software. Effectively retrieve inaccessible data from locked Android phones and tablets with broken screen or devices that is damaged due to any other way. Extract data from devices that got locked due to forgotten password/PIN or pattern lock. Retrieve files from screen cracked, smashed, broken or damaged Android devices. Restore files such as photos, videos, audio, contacts, call history, text messages, notes, voice memos, WhatsApp messages & attachments, documents and more. Support all brands and 8000+ models Android phones and tablet such as Samsung, LG, Huawei, Sony, Google Pixel, OnePlus, Oppo, HTC, Motorola, etc. So, let’s start with real users’ practical scenarios! 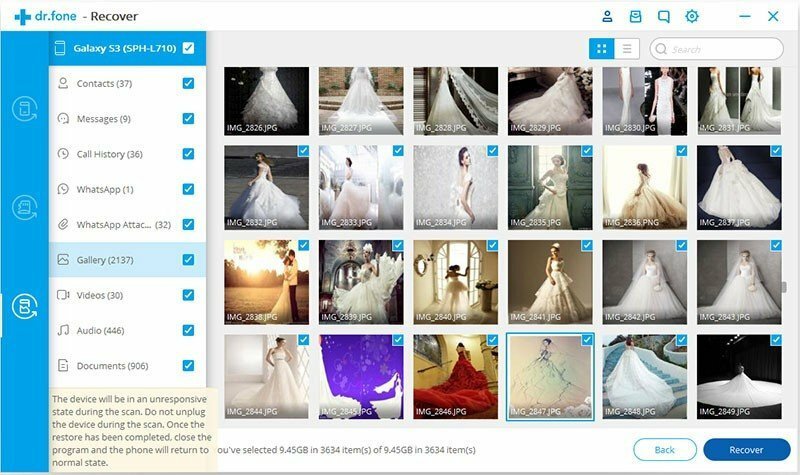 Retrieving pictures and data from phone with broken screen? I have an LG G2 with a cracked screen. I have my replacement phone, but before I send this broken one back I’d like to retrieve my pictures and voice memos and such. The problem is the screen is unresponsive and I can’t get past the lock screen to put the phone in the correct mode to transfer files, so my computer won’t see it. Any suggestions? how to recover my files from my screen broken (black) S4 with a screen lock? Just like above examples, there are several Android users out there who are encountering such problems. So, now the question arises – How do you recover data from locked Android Phone with broken screen? Well, continue reading the post to find out the solutions. Since, your phone screen is broken you can’t enter the password/PIN/Pattern to unlock your device. Hence, this solution can help you to solve the problem and recover data. For this you need OTG Adapter and a mouse. 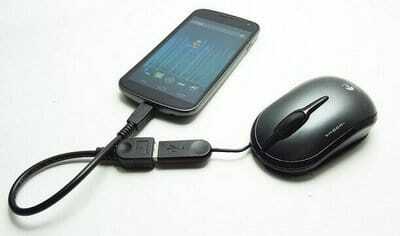 Let me tell you that Mouse cannot be connected directly to Android and hence you need OTG Adapter as medium. Also you must remember the password/PIN/Pattern to unlock your device. Below follow the steps to unlock Android with broken and thereafter recover its data. Step 1: Connect Micro USB side of the OTG Adapter to your device and then plug the USB mouse to adapter. 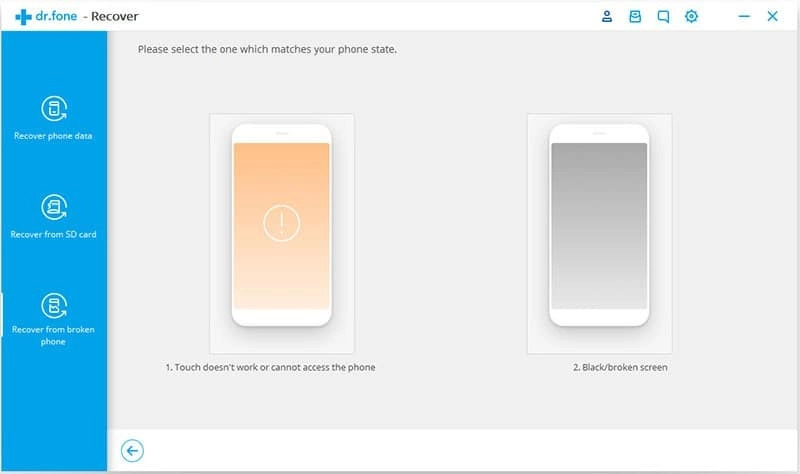 Step 2: As and when your devices get connected, you will be able to see the pointer on your phone’s screen. You can now use that pointer to unlock the pattern lock or enter the device’s PIN or password lock. Step 3: Once your device gets unlocked, you can then backup your device data to cloud services like Google Drive, Dropbox, etc and later you can restore data from the backup. Note: Not all Android phones recognize the Mouse as input device. Also make sure that your device is charged enough, it is because Mouse may drain your battery. You can also take help of PC to access locked Android phone data with broken screen. For this you will need Android Control Tool (download and install on your computer) as well as you need to install ADB (Android Debug Bridge) on your computer and thereby you can gain access to your locked Android phone with broken screen via PC and save all data. Note: This solution will only work, if USB debugging is enabled on your device. If not, then skip this solution. 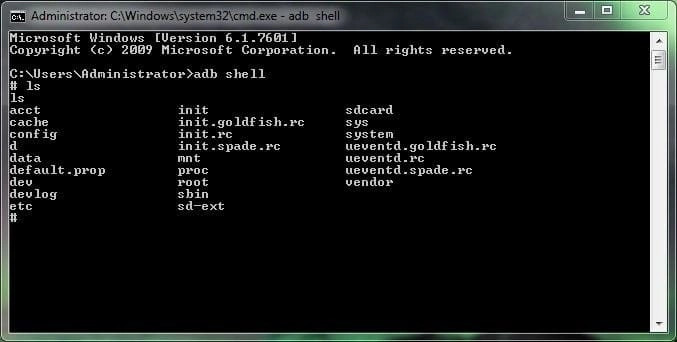 Step 1: First of all download and install ADB on your PC from here – https://forum.xda-developers.com/showthread.php?t=2317790 (Developed by the XDA Developers Forum member named shimp208). The tool will create a shortcut on your desktop that you can use to open a command prompt. Step 3: Reboot you’re your device. Step 4: Now connect your Android phone to computer and then the Android Control Screen will pop-up that will allow you to control your device via PC. Step 5: Now simply backup your data to cloud service like Google Drive, Dropbox or copy paste data from your Android device to computer. While this solution might work for some users, but in case, if it doesn’t work for you then proceed to next solution. If you find that the above-mentioned solutions too complicated or not working in your case, then it is time to pull out big guns and take help of reliable and recommended third-party Android Data Recovery software. This software will help your to retrieve data from locked Android phone with broken screen. No USB debugging is required. 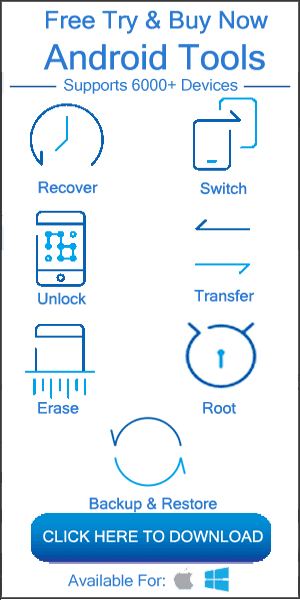 The best part about this Android Data Recovery Tool is that it retrieves data from screen broken/crashed/cracked/smashed Android phones, screen locked Android (forgotten PIN/password/pattern lock). And the tool is available for both Windows and Mac computer. 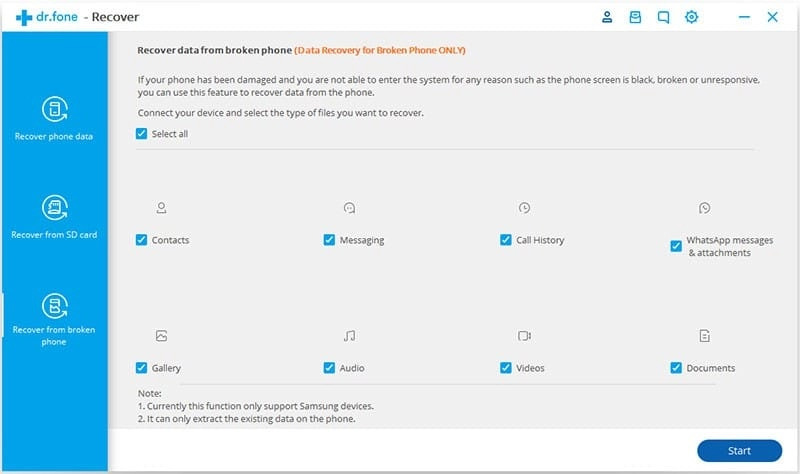 With this tool, you can easily recover inaccessible data from locked Android phone with broken screen from PC and recover files such as pictures, videos, audio, contacts, text SMS, call history, WhatsApp chat history, notes, voice memos, documents, etc. Below follow the complete steps to recover data from locked Android with broken screen with the help of Android Data Recovery software. 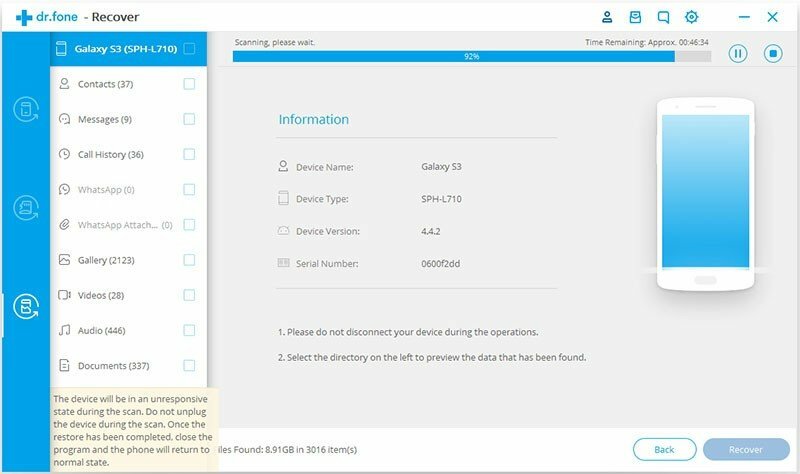 Download, install and launch Android Data Recovery software on your computer and then click on “Recover” option. 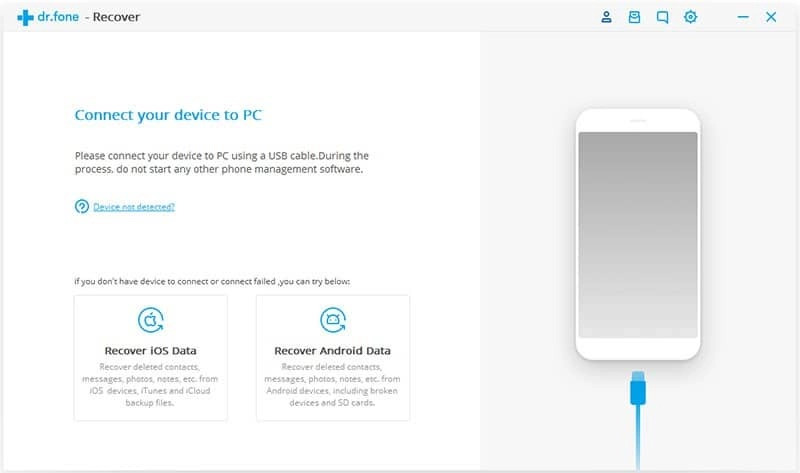 Next, connect your Android phone to computer with the help of USB cable and then click on “Recover Android Data”. By default Android Data Recovery software selects all file types. But you can select the files types that you want to retrieve. Click on “Next” to proceed further. Note: This feature will only help you to retrieve existing data on the broken Android phone. So, select the best matches situation that you have. In the new windows, select the correct device name and model for your phone. At present this feature support for some Samsung Galaxy devices such as Galaxy S, Note and Tab series. Then click on “Next”. 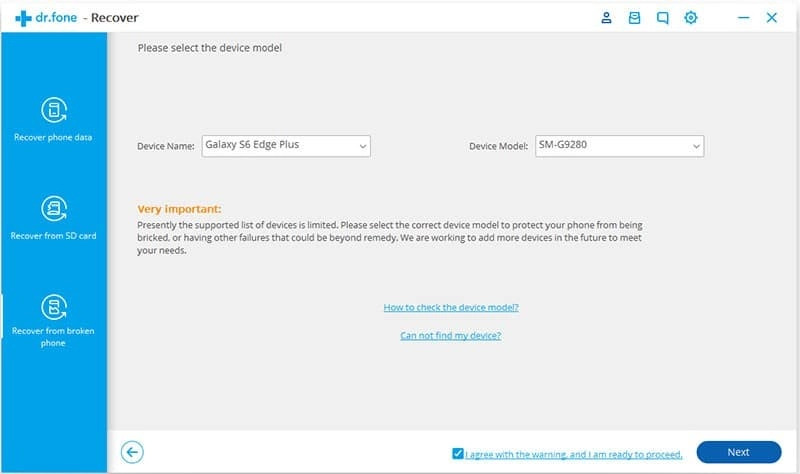 Note: Make sure that you have selected the right device model for your phone. If you provide the wrong device model then it will lead to the bricking of your phone or any other problems. 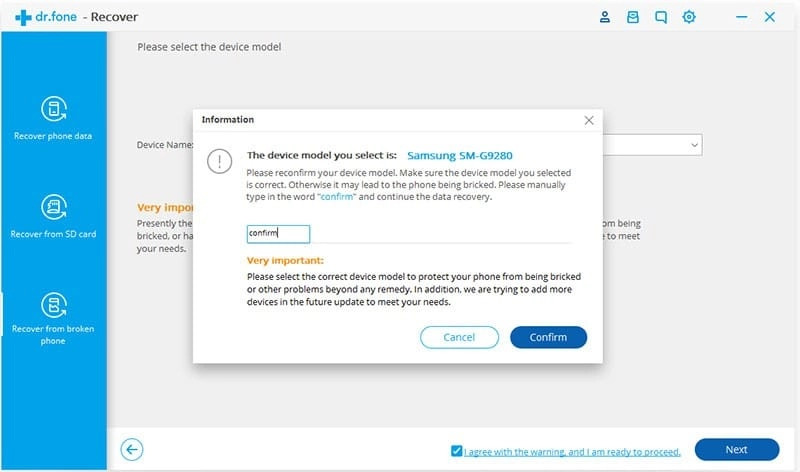 After you are sure that you have selected the right device model for your phone, then type in “Confirm” and click on “Confirm” button to proceed further. 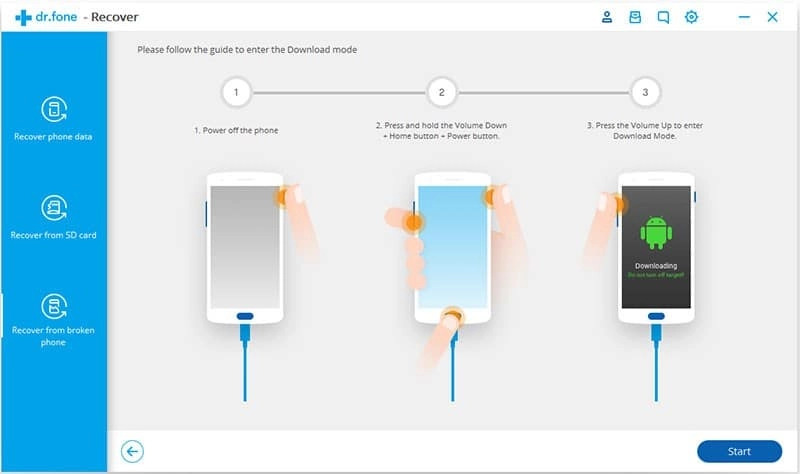 Enter into Download Mode on your Android phone by simply following the instructions shown on the program. Press and hold “Volume Down” + “Home” + “Power” button together on the phone. Press “Volume Up” button to enter into Download Mode. Once your phone enters into download mode, the software will start to analyse the phone and will download the recovery package. Once the analyzing and scanning process completes, Android Data Recovery will show all the file types by categories. After this you can preview the recoverable files types within preview screen of the program. Select the files that you want back and the click on “Recover” to save all data from broken Android phone. After reading this post, I hope you were able to successfully restore your inaccessible data of your Android device. You can follow any of the above-mentioned solution. But in case, if one solution fails, then you can try other solutions. The best and recommended solution is that you must try Android Data Recovery, which is easy and simple to recover data from locked Android with broken screen which is mentioned in Solution 3.